About a year ago, in Stanford’s ENGR145 Technology Entrepreneurship class, Jesse Leimgruber and Misha Talavera pitched NeoReach in front of classmates, professors and venture capitalists. They explained their vision for a tech-enabled advertising marketplace. On August 27, 2014, after a series of accelerators, NeoReach stepped out into the limelight when it raised $1.5 million in seed funding while 19-year-old Jesse was still an undergraduate student at Stanford. 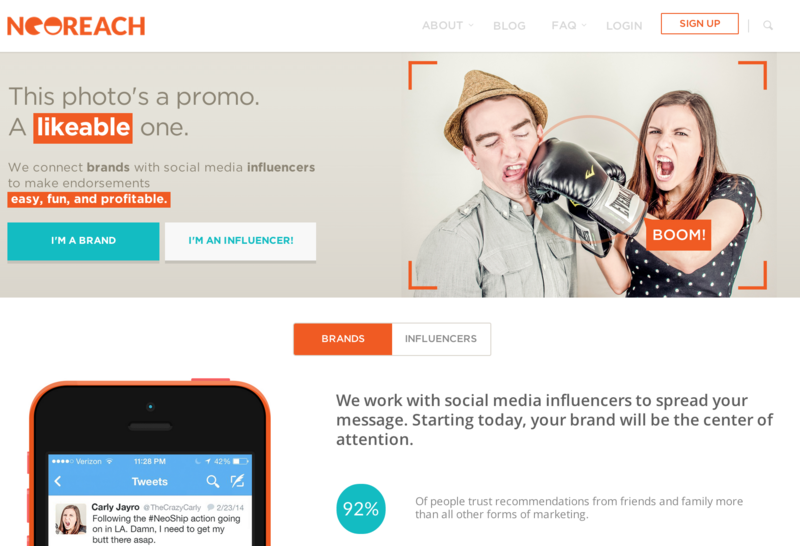 NeoReach is an online platform that connects brands with bloggers and social media influencers who are looking for new brands to endorse. Brands looking to promote their product post an offer on the NeoReach platform where social media influencers select a brand that fits their channel, and share the sponsored product or content on their social media page. Brands compensate influencers on a cost-per-click basis. 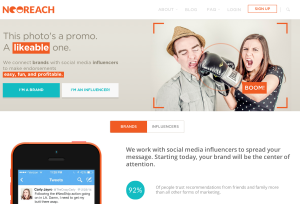 Currently, NeoReach takes no cut of the social media influencers’ pay. The company is focused on creating the most effective marketplace for brands to meet social media influencers. In the future NeoReach might decide to earn revenue by charging a usage fee or taking a percentage of the price per click. However, for now, they are focused on building the “centralized hub for influencer endorsements,” said co-founder and CMO, Misha Talavera. Misha explained, “bloggers and influencers are promoting brands and products all the time, but the process for influencer marketing campaigns is still manual and inefficient, like the airlines ticket market used to be before Expedia built a centralized marketplace.” NeoReach is building that centralized marketplace, and hoping to tap into the incredible pull of word-of-mouth marketing. Thus, for their ENGR145 final project, Talavera and Leimgruber proposed this solution to use technology to increase collaboration between brands and people. NeoReach creates a platform where users can find products, services or information that are relevant to their channel, thus facilitating organic information sharing. NeoReach tracks performance metrics (engagement, click, conversions, time on site, etc. ), in order to report back to the brands and the influencers on their performance. Misha and the NeoReach are based in the Bay Area and Orlando, FL. They are scaling their development team and are launching a new “influencer development program.” With this, they plan to keep growing their influencer and blogger community, and build their brand. We wish them the best! Contact Alex Doll at adoll ‘at’ stanford.edu.